"Every time in my life when I have chosen to delay following inspired counsel or decided that I was an exception, I came to know that I had put myself in harm's way. 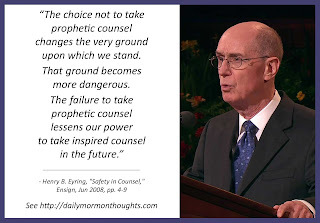 Every time that I have listened to the counsel of prophets, felt it confirmed in prayer, and then followed it, I have found that I moved toward safety. Along the path, I have found that the way had been prepared for me and the rough places made smooth. God led me to safety along a path that was prepared with loving care, sometimes prepared long before." Every person chooses whether to accept counsel of prophets, once they are aware of their existence. In fact, we each choose how carefully we pay attention to that counsel, how we ponder it, and how we respond to it. 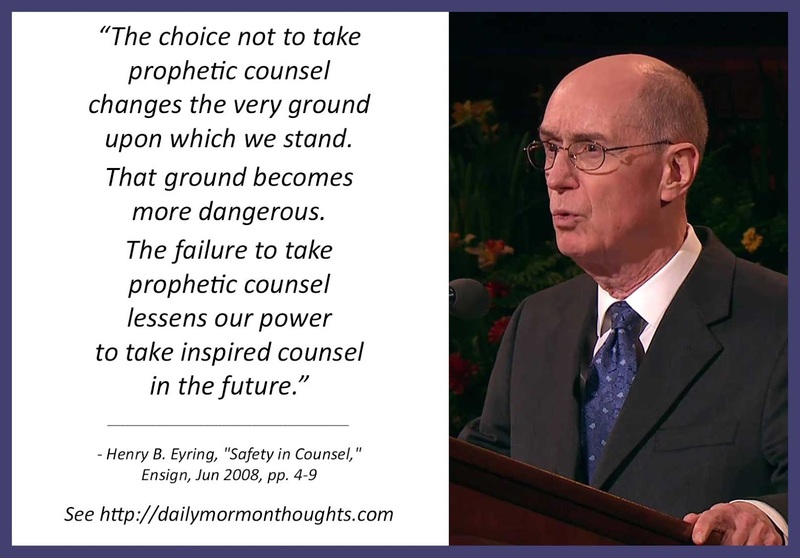 President Eyring teaches us how critical our response to prophetic counsel is; it "changes the very ground upon which we stand." 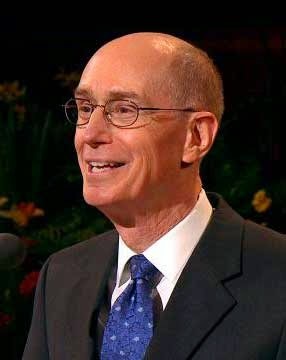 I love President Eyring's personal witness of the principle. There is a profound difference between the times when he has delayed following counsel, or managed to excuse himself as an exception; and the times when he listens, prays for confirmation, and carefully follows. He testifies that he has moved towards safety and seen divine intervention in those instances when he humbly accepts and heeds the counsel. What a wonderful reminder and invitation for us all!